The 1413 is a beautiful 5 strap latin shoe with an arch wrap in Dark Tan Satin. Only one left in an American 10 Medium (7.5 English) in a 2.5″ Flare Heel. NOTE: English to American Sizing is approximate. The information is shown as a guide only and not a guarantee. Actual fitting may vary. 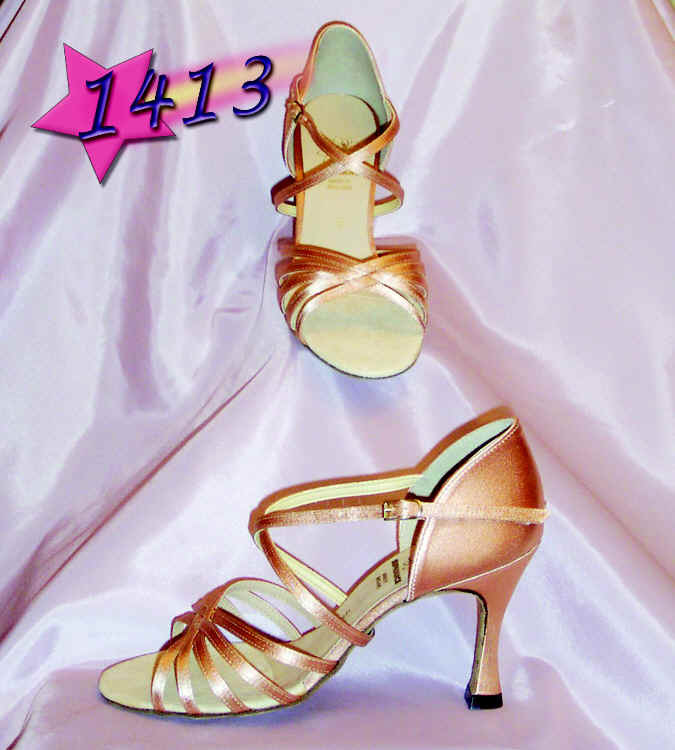 The 1413 is a discontinued style at our site. Only one pair left 10 Medium Dark Tan Satin 2.5 Inch Heel.